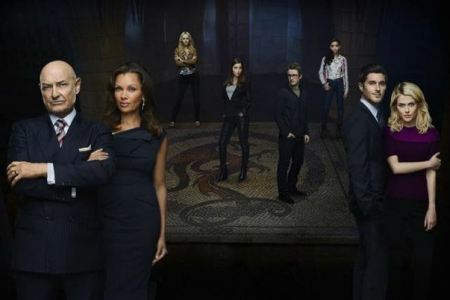 We’re only officially about one month into the Fall 2012 season and already two genre shows, Last Resort and 666 Park Ave, are staring at a high likelihood of cancellation based on the ratings they have pulled so far. In addition, this last Summer’s Alphas pulled subpar numbers and could be in trouble as well. Inevitably, their ratings struggles will lead to fans to at some point put together a “Save My Show” campaign that will come up with some strategy to draw attention to the shows and convince the network that people really are watching them. We’ve seen many variations on this over the last few years with Jericho fans sending nuts to CBS, Moonlight fans organizing blood drives, Pushing Daisies fans sending daisies to the network, and fans of The Sarah Connor Chronicles and Legend of the Seeker buying advertising to draw attention to the plights of their shows. But the fact is that these types of campaigns usually just don’t work. True, Jericho did get a second season, but it only consisted of seven episodes and the show was quickly cancelled again after those aired. As for the others mentioned, none of the Save My Show campaigns succeeded in keeping them alive. So what will work, you ask? What will convince these thick-headed networks that cling to the outdated Nieslen ratings system to keep Last Resort, 666 Park Ave, Alphas, and other endangered genre shows alive? The answer is actually quite simple. Appeal to what matters the most to the networks (or any business for that matter): money. Am I saying to just send money to the networks, you ask? No, though I’m sure they wouldn’t turn it away. But they need to see their shows turning a profit, so any Save My Show campaign has to key onto that if it wants to pique the interest of the network execs. Chuck fans were on the right track a few years ago when they appealed directly to one of that show’s primary sponsors. They went en masse to Subway and started buying up sandwiches in the name of their show after the franchise was featured in one episode of the third season, and they let the company know why they were doing it. This apparently convinced Subway execs to become a major sponsor of the show and certainly had at least some influence on NBC’s decision to keep Chuck around for another season and a half. The Chuck strategy took somewhat of an indirect route, though, even if it did have the right idea of appealing to the bottom dollar. This is definitely one way of going about it, but there is a much more direct and immediate route available to fans to influence that bottom dollar that network execs keep a hawk eye focused toward. They are available through Amazon Instant Video and I assume you can get them through iTunes as well (I’m not an iPerson, so I can’t figure out how to search what they have available), and there may be other services that have them as well. The episodes on Amazon run about two bucks each ($3 for HD) and they have all the season to date episodes available (I believe each new ep becomes available the day after its initial airdate). If fans of these shows or others potentially in danger can organize a campaign and get a hundred or maybe two hundred thousand downloads per episode, I’m betting the networks will pay attention. That’s not nearly enough to cover the production costs of an episode (I’m guessing that Last Resort runs north of $4 million per ep and 666 Park Ave probably comes in somewhere below that), but it could help pick up the slack for the lower ratings the broadcast airings are currently pulling. And on top of that, fans should contact the network and let them know what they are doing and that they are trying to support the show every way they can. There’s no need to berate the networks and carry on about how the Nielsens are outdated and don’t really reflect the true audience out there. The network execs already know the system has flaws, they just don’t have much else to go on at this point. But direct purchases of episodes can help shift the current paradigm and prove that there is a real audience out there that wants to watch these shows. The fact is that throughout the history of broadcast television, science fiction and fantasy shows have never been ratings powerhouses (you can get the hard numbers behind that at this link). But many of them have demonstrated enormous staying power. Legendary genre shows like The Twilight Zone, Star Trek, Babylon 5, and even the Battlestar: Galactica remake never drew huge Nielsen numbers during their initial runs. But they have gone on to become beloved franchises that have thrived in syndication and the home video market and have spawned spin-offs and continuations. Science fiction and fantasy shows typically have a slow burn to popularity, but once they achieve it they turn into profitable franchises. And if the networks can see some good early indicators that a show has similar potential (and if the can justify the expense), they just may keep it around despite poor ratings. 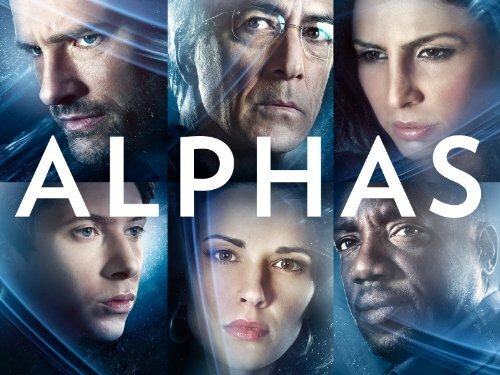 Alphas probably has the best chance of benefiting from an episode download campaign, because it has a lower cost production and maybe download numbers somewhere in the 50k range, or possibly even lower, would help its cause. And the fact is that Last Resort and 666 Park Ave have both seen significant improvements to their ratings when DVR viewing is factored in (each typically increasing their ratings by 50% or more). This shows that there is an audience out there who wants to watch these shows, but unfortunately the ratings after the broadcast date do not help networks sell advertising time–which is what pays for the shows. And don’t go calling the networks greedy for trying to make that money. They are businesses and a business keeps its doors open by turning a profit. And if one of their products is not profitable, they have to replace it with something else they believe can make them money. Sure, they may all too often jump the gun on that decision and cancel a series before it really has the chance to prove itself, but now fans have a viable means to step up and influence that very decision making process. Don’t waste your time whining about the Nielsens, or complaining that businesses are greedy, or sending some item like nuts or flowers or Tabasco Sauce (Roswell fans did that one). Put your energy (and money) to a more productive task and organize fans to buy the episodes online and generate a revenue stream for the shows in danger (and for Alphas, go back and buy Season 1 as well). Sure, in the case of the broadcast network shows, it may be annoying to pay money for something you can watch on television for free, but if you want it to stick around, that just may be the cost (and on the plus side, there’s no commercials when you buy them). And at $2 per episode, that will total up to a lot less than what some of the Jericho/Pushing Daisies/Sarah Connor/etc. fans shelled out during their Save My Show campaigns. Don’t throw your money away, spend it in a way that will make the networks take notice instead of just annoying them. Show them that these series can justify their production costs. That’s appealing to the bottom dollar, and that’s what will get their attention. Cancellation Watch: Tracking the weekly ratings for the sci fi shows currently airing and the ones that are in danger of getting cancelled.